With Aperitivo hour rolling in, and one distracted-by-architecture crash under my belt already, it was time to park up our bicycles and settle in for a Spritz, and our now nightly pre-dinner snack fest. Janet and I had spent the day exploring Ferrara by bike, from it’s cobbled Roman streets to its renaissance palace. 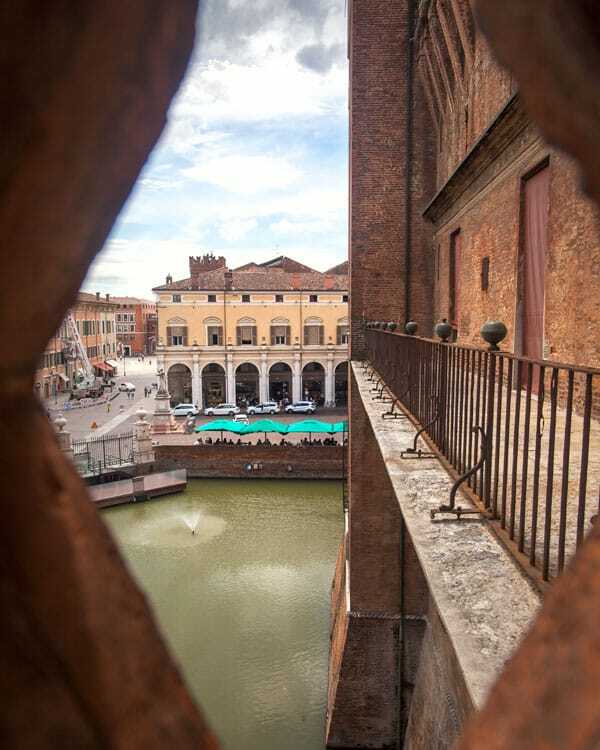 Ferrara might not be as famous with travellers like Bologna, Modena, or other cities in the Emilia Romagna region, but it makes for an ideal day-trip from Bologna, or an unexpected overnight stay, if you over-indulge in said Spritzs and miss the last train… my bad. 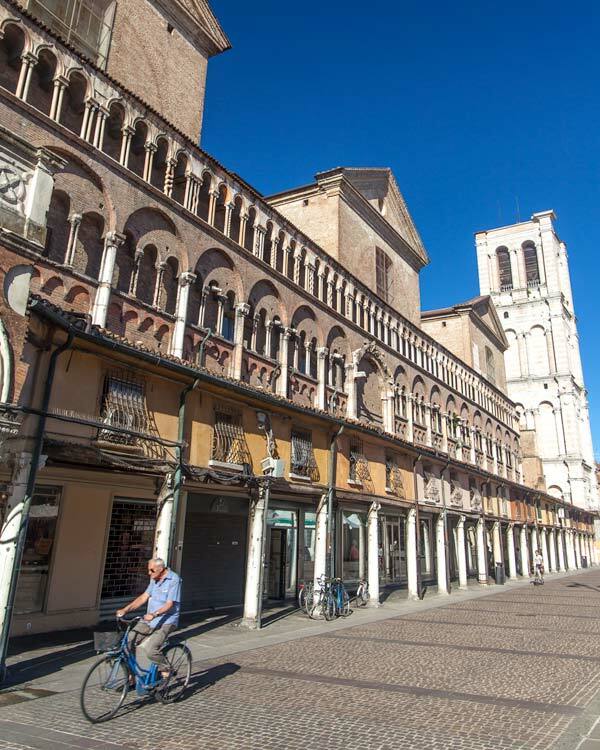 A relatively compact city, Ferrara’s architecture tells two sides of its history. 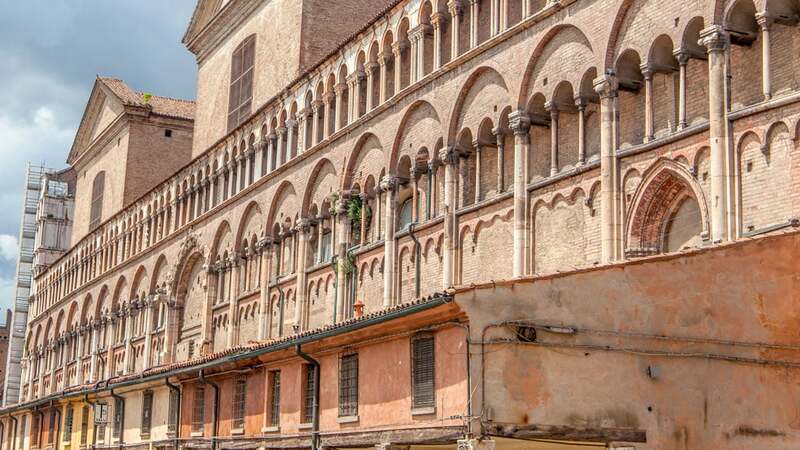 With both renaissance and Roman art and architecture to celebrate it, Ferrara is undoubtedly more likely to appeal those interested in its history, than the foodie scene which is more prevalent in other Emilia Romagna gastronomic destinations. That said, there are plenty of hip bars and tasty restaurants to sample here, and thanks to the large University, it also packs a much younger and energetic atmosphere than some nearby cities. Our time here was lazy, and we slowly took in the attractions of Ferrara with occasional stops for alfresco gelato or prosecco in the warm June sun. Ferrara isn’t going to burn you out like other city day trips, and exploring the city by bicycle was an ideal way to fit everything into a day trip from Bologna. 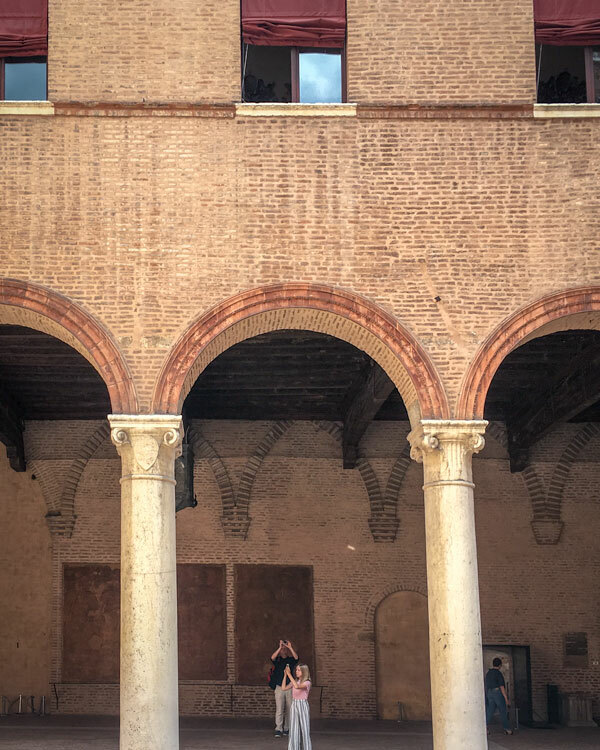 This is obviously a short list of what we did on a day visit to Ferrara, but there are plenty more galleries and impressive architectural buildings to admire if you spend longer here. The rightful star of Ferrara is the Este Palace, surrounded by its moat and standing proudly in the centre of the old city. From the rooftop, you’ll be able to get your bearings so do start your visit here, especially as you’ll find many a bike rental place nearby. 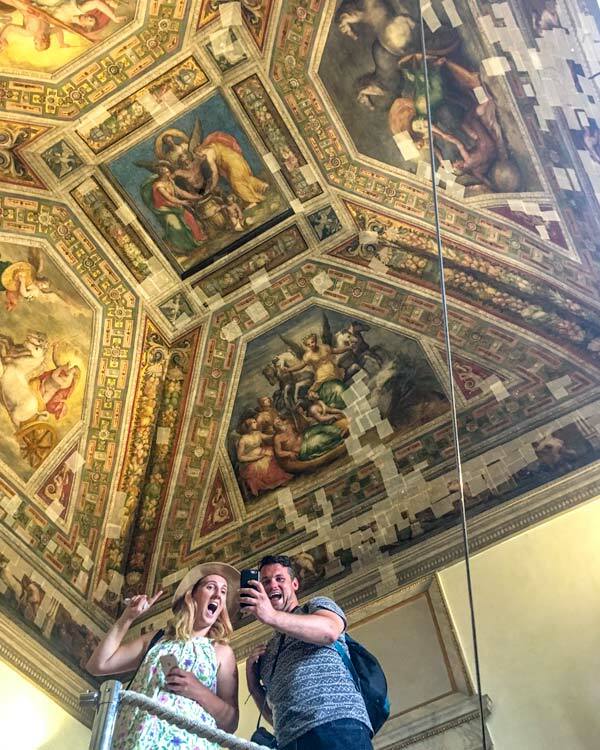 Inside the ceilings are beyond words, and so impressive that mirrors are strategically positioned throughout, so you don’t leave with a permanent neck injury from looking upwards the whole time. Each room offers more impressive artwork, while the terraces, with orange trees, show another side to how life would have once been inside the palace. The Este family ruled here from the 13th to the 16th-century, and here you can also learn about their links to the Lombardy region, and beyond into Germany. 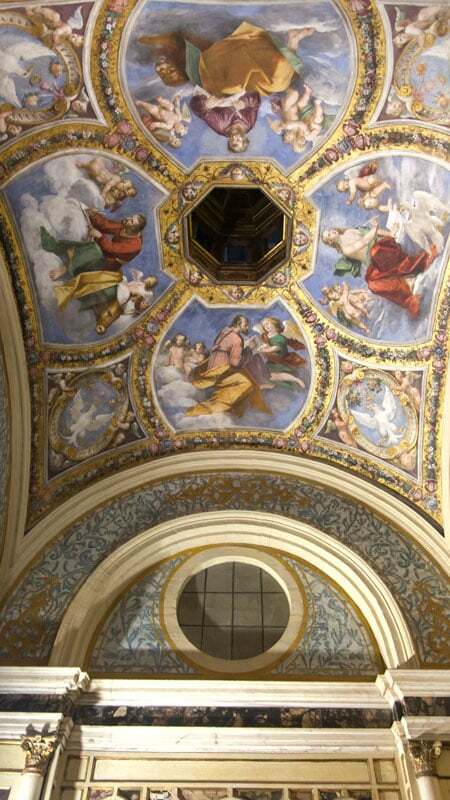 The Catholic Cathedral of Ferrara is a delight both inside and out. The striking and ornate details of the exterior are prevalent in northern Italy, and especially within Emilia Romagna I discovered on my extended travels here, but this particular cathedral really stands out, I think thanks to the tower at the back and the long leading lines of archways on the side. 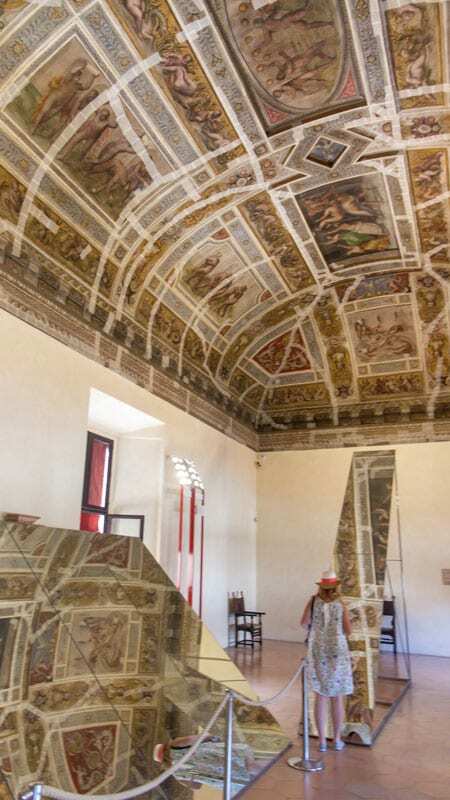 While you may not be up for a second palace/castle visit in one day, The Diamanti Palace is rather unusual thanks to the marble blocks which create its striking design. The name hints at that unique feature, which is the diamond-like shapes which the exterior marble design boasts. Inside the palace, you’ll find a collection of artwork, mainly from local artists in this university city, which spans some 600 years. Colourful streets weave off these to squares, one boasting the Cathedral and the other the Etse Palace. They are both fantastic places to settle in for a slightly more expensive drink and snack than the side streets, but the buzz and wonderment of the architecture compensate for the additional few cents. This fantastic building, centred around a 16th-century courtyard is well worth a visit for the architecture alone, even if you aren’t;t so interested in what is on display inside. 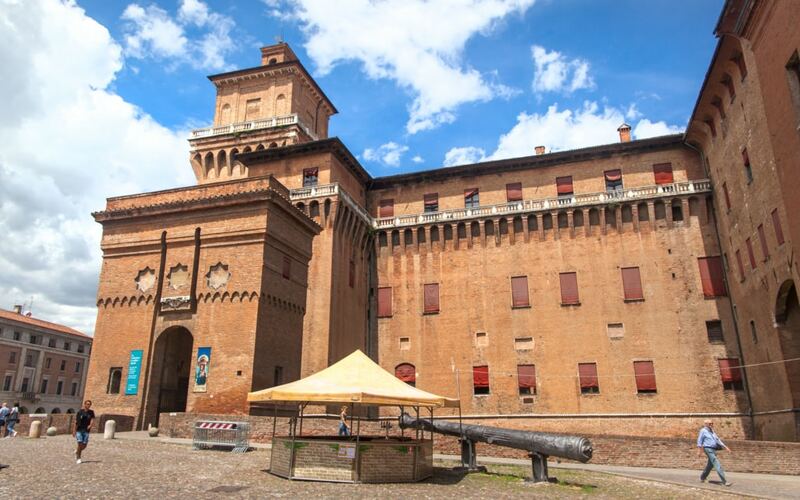 It is another classic example of the breathtaking Renaissance architecture across Ferrara and holds a surprising Greek collection behind its doors. 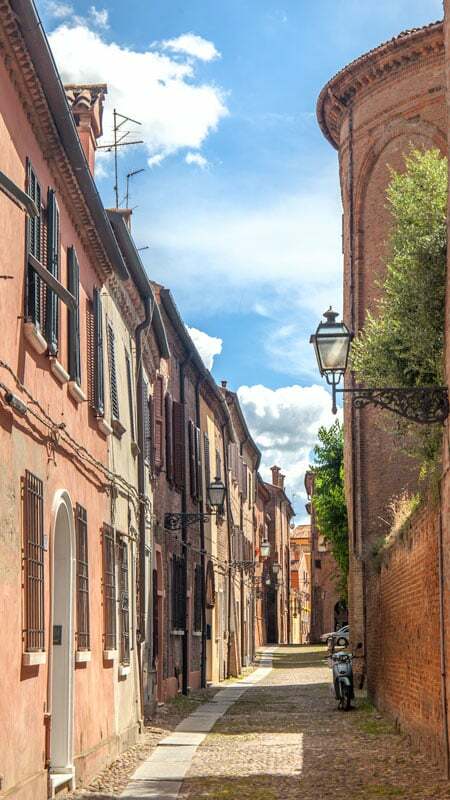 This medieval street may be one of the main attractions in Ferrara, and while it is a joy to walk and admire, it really won’t take up too much of your time as the original preserved part isn’t too long. That said, be sure to swing by for a photograph and to appreciate the difference of the architecture away from the renaissance buildings. Sadly the Ferrara Synagogue is closed currently, following earthquake damage a few years ago. I only learnt this when I tried to visit, but hopefully, in time it will reopen, as it is the last remaining Synagogue in the city. 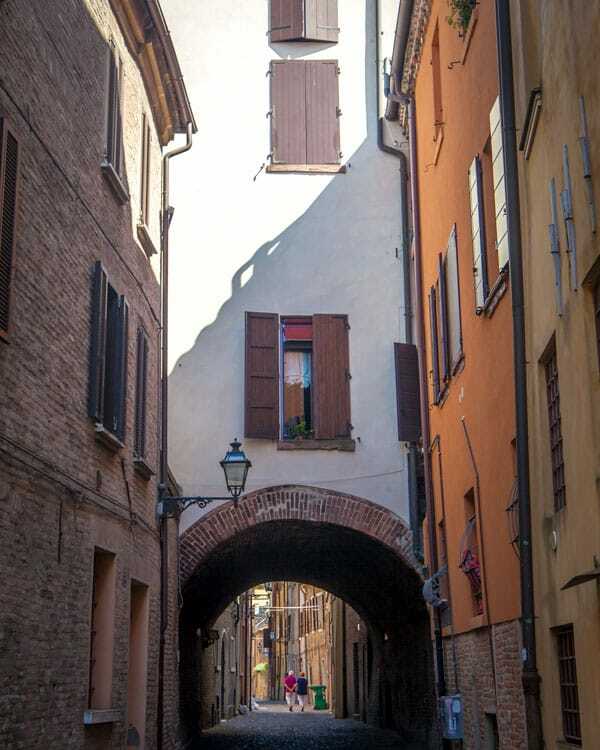 The Jewish quarter of Ferrara was one of the largest in the country, and during the Este rule of Ferrara, it remained on the more diverse religious cities in what is now modern-day Italy. As such, I hope they can preserve the heritage here and especially can repair the earthquake damage. This isn’t the kind of canal to get confused with the likes of Venice, as the setting is neither old or glamorous, but on a summer evening when we visited, it was an excellent setting for a sunset moment and to soak up the lively university atmosphere of the city. We found a pop-up bar and restaurant here, with live music playing as people lounged in deck chairs. There are even some boats, such as Sebastian Pub Ferrara, along this river which have been converted into places to eat or drink. While it won’t be a draw to the city for everyone, I enjoyed the slightly more urban feel of our evening here, especially as a nice contrast to the more classic evenings you would expect surrounded by so much history. A few tips and insights to make planning your visit to Ferrara a little easier. 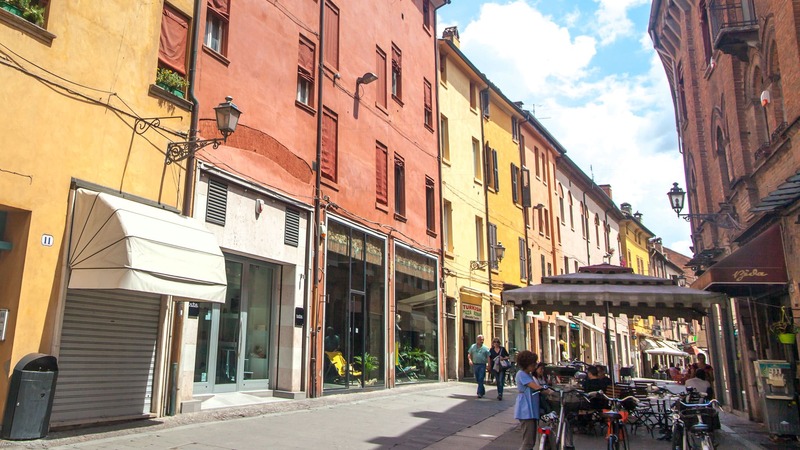 Where to stay in Ferrara on a budget: Hotel Daniela offers clean, simple rooms a few kilometres away from the old centre from around €30 a night in the offseason. Where to stay in Ferrara like a baller: In the city centre, The Alchimia is a stunning accommodation option which blends authentic and old design with modern touches. The 15th-century building boasts wooden beamed ceilings and in some rooms, even frescoes adorning the ceiling above the beds — a unique slice of history to experience when staying in Ferrara. 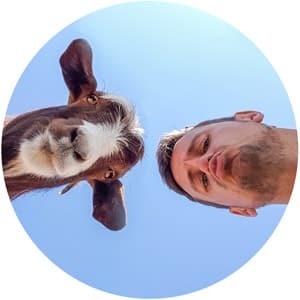 If you are going to make a reservation through booking.com, you can get a £15 discount off your reservation by using my referral booking code and link here. 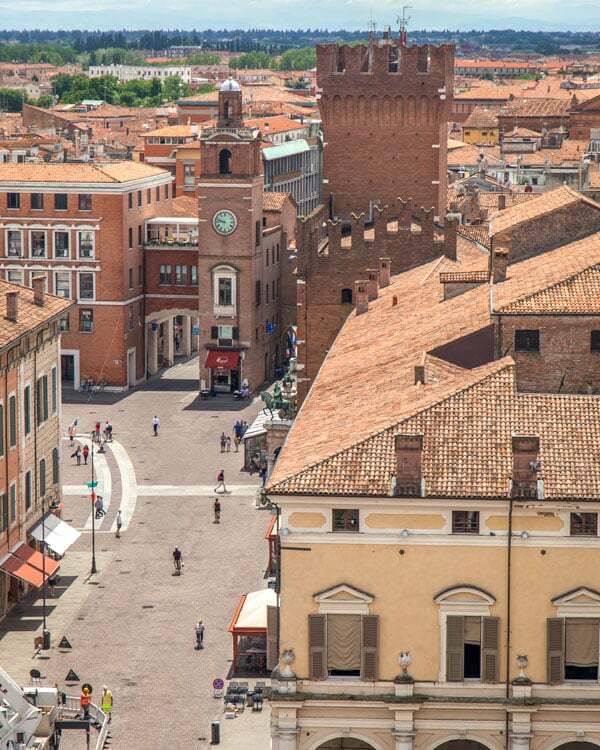 How to get to Ferrara: The closest airport to Ferrara is Bologna, while Rimini is another option in the Emilia Romagna region. From Bologna, you can take a bus (direct from the airport) or train connections to Ferrara from the central station in under 30 minutes. Driving from Bologna will take closer to one hour. Where to go after Ferrara: After exploring Ferrara, I highly suggest you discover some more of the Emilia Romagna region. 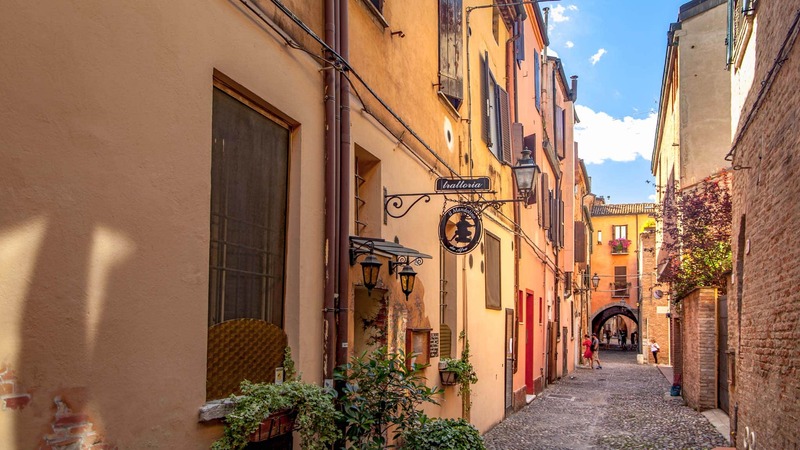 Brisighella, a dreamy village of towers and olive oil is an ideal day trip, while some of the other cities in Emilia Romagna such as Modena, Reggio Emilia and Parma make fantastic day trips from Bologna. Of course, you can’t miss spending a few days in Bologna, the beautiful capital city of the region. Accessibility in Ferrara: Ferrara is a relatively flat city, and much of the city is stone paved, although there are also cobbled streets. The main square and the small streets leading away from it offers many restaurants and bar terraces. Further information can be obtained from the Ferrara or Emilia Romagna tourism boards. Sadly, the information does not seem as available as Bologna.